With the Holistic Alternative approach, diagnosis and treatment is not limited to your apparent symptoms but it goes further investigating your personal situation: your nutrition, your lifestyle, your inherited specificities, your personality, your preferences. Alternative Practitioner want to know who you are and how you are before they define what you need. Very often, they have a very close relation with their patients. Within Holistic Alternative Medicine, health problems are understood as being caused by basic functions’ imbalances causing symptoms of ill-being. If you only treat the apparent symptoms, the healing won’t be complete or sustainable. Without correcting the underlying imbalances you cannot recover and gain optimal health in the long run. All Holistic Alternative approaches have in common that the healing process is based on activating one’s own body’s inherent healing abilities. 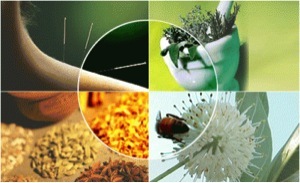 Holistic Alternative Medicine relies on natural substances and methods to support the body in its own healing. By refraining from using chemical-based, synthetic medications which by definition are foreign to the human body, side-effects remain minimal. Holistic Alternative Medicine seeks to strengthen your health “terrain” – your overall state of health, your immune defenses. Nowadays, scientists tend to agree that it is our health terrain that is decisive in whether or not you fall sick whereas our genetic predisposition or exposure to virus or bacteria remain only contributing factors. If your immune system is strong, your body will be able to handle these factors. That’s why alternative practitioner even “treat” healthy persons: it’s a preventive approach to help them maintaining optimal well-being, today and tomorrow! If you’d like to continue your reading on Alternative Medicine, please refer to the chapter dedicated to this topic.